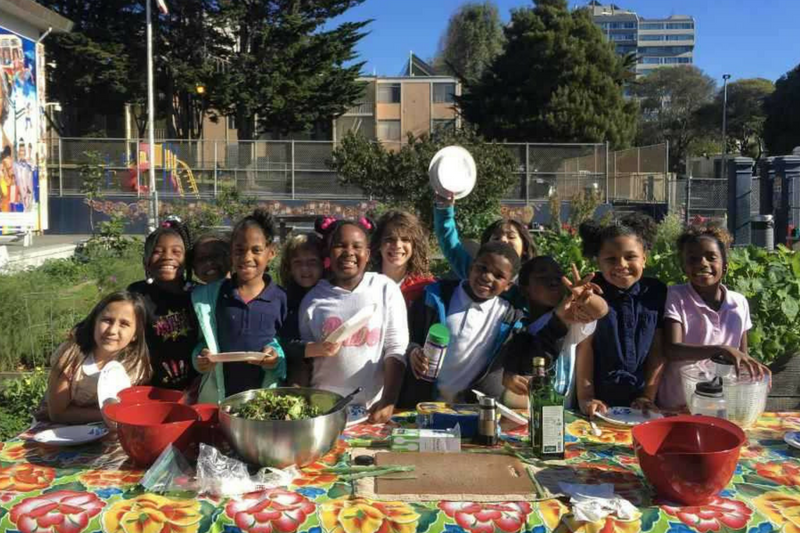 A new tradition has begun at Rosa Parks as students join Seed-to-Mouth Garden Educator, Annie, for weekly yoga sessions in the Lower Garden. The kids have fun choosing Yoga Pretzel cards for the group to achieve, cards which illustrate common yoga poses and encourage health and wellness for the body and mind. 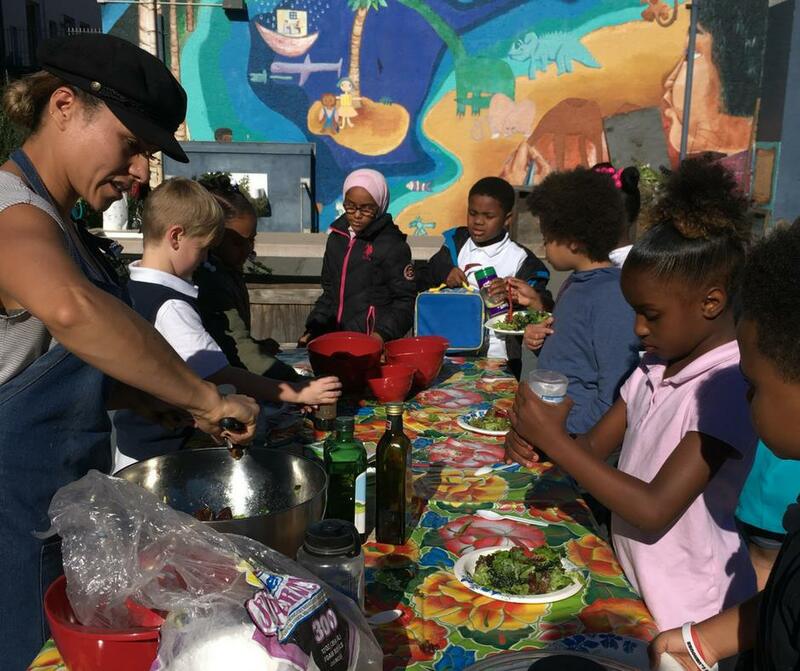 Students at Rosa Parks were treated this month to an impromptu salad day thanks to all of the extra veggies in the gardens. 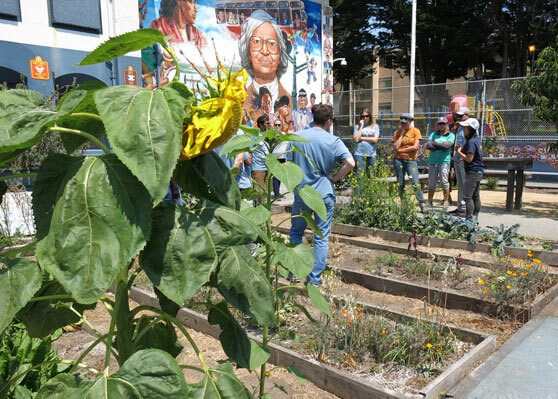 Due to the warm weather and sunny days this Fall, the garden plots are thriving with excess produce filling the beds. Wanting to avoid waste, Annie was inspired to create a spontaneous salad treat, complete with homemade croutons she made the night before! 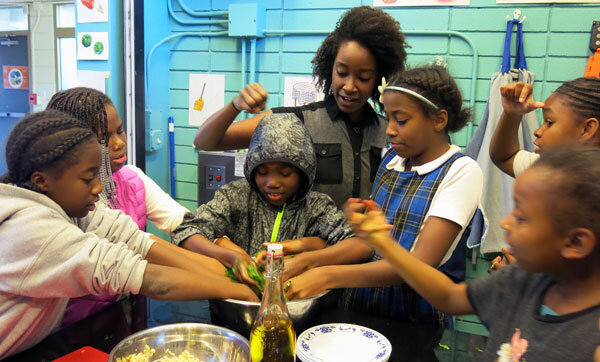 Students loved the salad and the entire bowl was finished in just over 20 minutes. 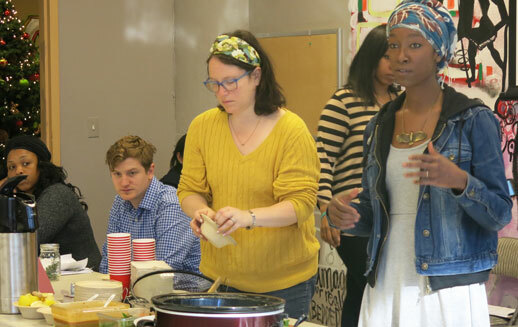 Official Salad Days at Rosa Parks started up again this month with the support of the dedicated Green Team! 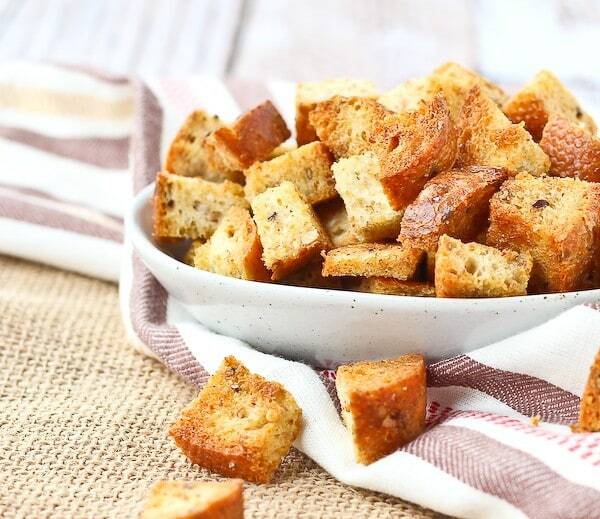 In a bowl, combine cubed bread, garlic powder, and salt. Drizzle olive oil over bread while stirring. Stir well until bread is coated by all ingredients and olive oil is absorbed. Spread bread cubes into an even layer on a sheet pan. Bake for 10 minutes or until golden brown. 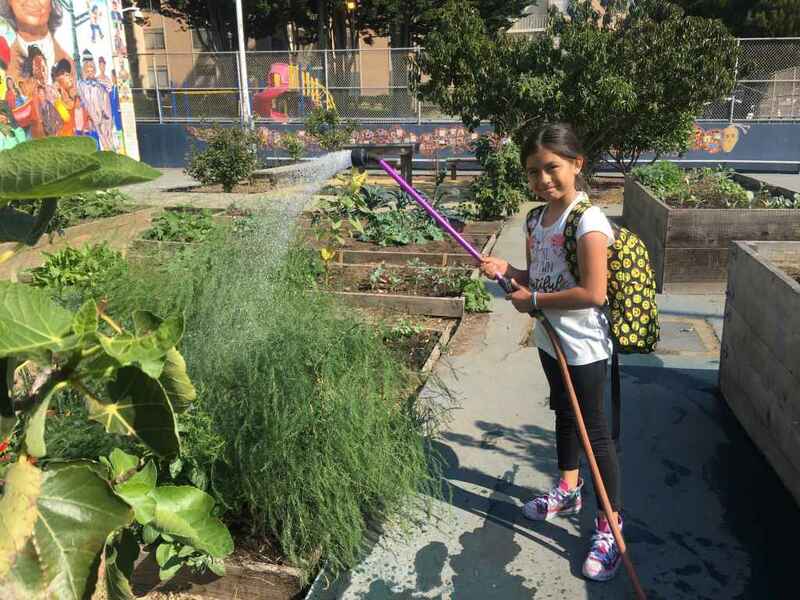 Besides yoga and salad days, students are also becoming involved in the Lower Garden by helping with watering, weeding, pruning, litter clean-up, and maintenance. 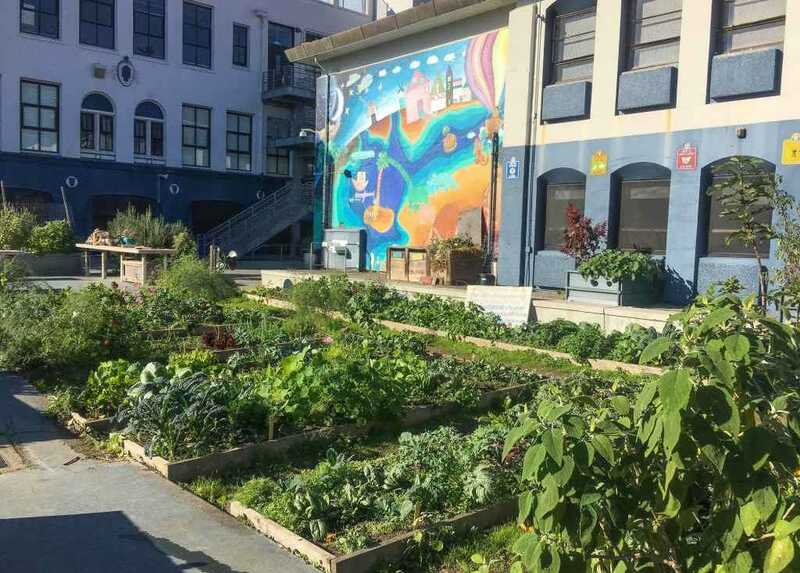 Since the start of the school year, the gardens have transformed thanks to the time and energy put in by students, teachers, and staff. With the vibrant mural and the beautiful greens, the space has become a calming and welcoming place for the students to spend time.